Niecy Nash has made her mark in Hollywood. She has been in this busy for many years and I am glad the world is finally seeing her talent. With the success of her hit tv show 'Claws', Niecy's career continues to elevate. Yesterday(July 11th) she was honored with a star on the Hollywood Walk Fame in Hollywood, CA. The actress looked divine at the ceremony wearing a CHIARA BONI LA PETITE ROBE white knee length dress which showed off her décolletage, with dainty bows on the shoulder. 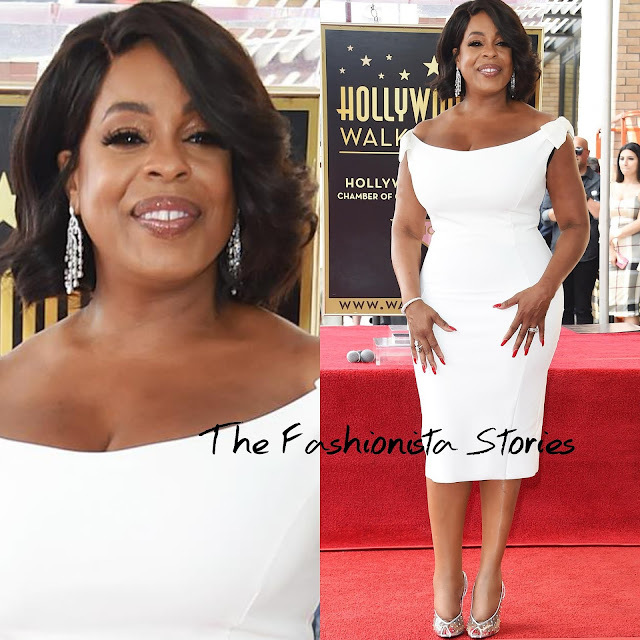 For some sparkle, she accessorized with DENA KEMP statement earrings which topped off her look along with a complimentary beauty look and TOM FORD transparent beaded heels.